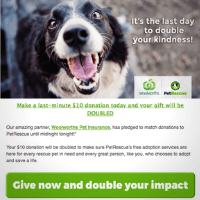 Waaaaay back in 2013, one of my charity client relationships developed into a permanent position as the Fundraising and Brand Development Lead for PetRescue - Australia’s most visited charity website. 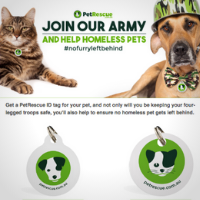 That strategic role dropped me right in at the deep and hairy end of fundraising and brand management on a shoestring. No big agency budgets here. Everything was conceptualised, project managed, written, designed and published in-house, and exclusively digital to minimise spend and maximise the impact of gifts. In fact, the 2018 tax time gift matching campaign achieved a record-breaking return on investment of 2,946% (raising almost $360,000). On this incredible journey (of nearly six years), I saw the organisation grow from a team of 5 to 15, and finally be able to afford its own in-house web development resources. 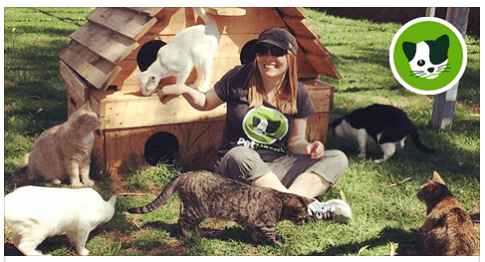 I saw the annual revenue rise from $380,000 to $1.4 million, its monthly giving program grow from 298 to almost 1,500 donors, and its corporate partner and sponsor program acquire two new major partners and eight corporate sponsors. 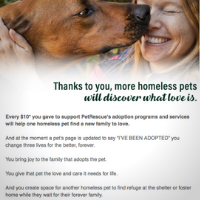 Most importantly, we helped to find new homes for more than half a million rescue pets across Australia. Oh, and Paul and I foster failed and adopted our two fur kids, Maddie and Lilly - the stars of many PetRescue fundraising campaigns! 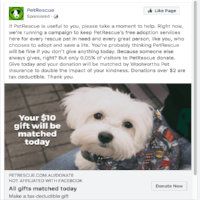 Life as PetRescue’s Fundraising and Brand Development Lead has been one hell of a steep learning curve, and an amazingly enriching experience that I’m hugely grateful for. Now it’s time for a change, and to share the whole kit and Caboodle I’ve gained to help more great causes develop their brand and messaging. To smash fundraising targets. To raise awareness. And to tell compelling stories that move, motivate and raise a legion of regular givers, committed staff, volunteers, partners and sponsors. Check out Caboodle’s charity copywriting service offering, discounted charity rates and folio of work, or contact me direct at jo@caboodlecopy.com or on 0431 899 851 for a chat about your charity brand and fundraising challenges. Attracting the right talent for an Australian heavy-industry challenger brand.